THE ULTIMATE GOAL OF "SUSTAINABLE" PLAN MAY BE THE "COMING SUPERSTORM"
After years of ratcheting up violent, deadly storms, the finale just might be the greatest "Perfect Storm" in history. In its aftermath, people would allow themselves to be ordered off their land, out of their cities, into their "Reserves" and "Buffer Zones". JUNE 1, 2004 NOTE: On May 28, 2004, a movie entitled, "The Day After Tomorrow" opened in theaters throughout the country. Upon seeing the movie, I realized it closely followed a book published in 2000 by Art Bell and Whitley Strieber entitled, "The Coming Global Superstorm". Therefore, we are reissuing this book review article, for by reading it, you will understand this movie. In this incredible scenario of using weather control as a "social engineering tool", it is possible that the final planned event might be a continent-wide storm that would deliver such devastation that the survivors would be exceedingly panicked; they would be prepared to be convinced by their leadership that this "Superstorm" had been a natural outgrowth of the Global Warming theory, and that Mother Gaia was simply cleansing herself of the unbearable strains put upon her by overpopulation and our current Industrial Civilization! Thus, when the president, or the head of F.E.M.A., appears on radio and television to offer his "plan" to finally live in harmony with Nature, the people will listen and will meekly obey. At this moment, this diabolical, disgusting Biodiversity Map could be implemented. "The Coming Global Superstorm" may not be fiction; it may be a script for a coming storm caused by Weather Control. 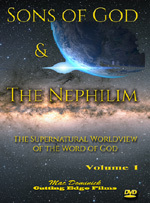 Radio Talk-Show Host, Art Bell, and New Age Author, Whitley Strieber, have collaborated in writing a book entitled, "The Coming Global Superstorm", published in 2000. Art Bell is the radical talk show host who has featured a running section entitled, "The Quickening" -- stories indicating that events on this planet are coming together, are "quickening" toward a tremendous climax. Many Christians are convinced that Bell's "Quickening" is Bible prophecy coming true, but Bell makes no such claims. Given his propensity to thrive on New Age themes, I believe his "Quickening" may culminate in the scenario outlined in this novel: the global superstorm that will be produced by runaway Global Warming and other miscellaneous "imbalances" that our Industrial Civilization is supposedly wreaking upon this planet. Since Streiber's writings heavily invoke the mantra that Mother Earth is overloaded with too much population and that population is over-heating her through our lifestyle -- Industrial Civilization -- his co-authorship of "The Coming Global Superstorm" is consistent with his previous writings. Art Bell reveals his occult belief system in this Foreward; his words tell us his belief that all Nature revolves around "balance", around positive/negative, light/darkness/ and yin/yang. This concept is strictly occult. Applied to the belief that Mother Earth is Goddess Gaia, we understand how New Agers believe that our current Industrial Civilization is so burdensome on Mother Gaia that our original "balance with nature" has been totally lost. In fact, New Age adherents believe that the White Man has not lived in communion with nature for several hundred years. 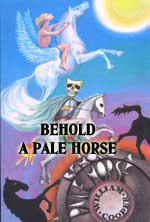 In New Age bookstores, you will find much current obsession with the romance of the American Indian, whom occultists believe did live in full "communion" with Mother Nature. Art Bell is implying that the time is coming when Nature -- Mother Gaia -- will forcibly return mankind back to Nature. As Gaia forcibly returns the earth to "balance", all of mankind's out-of-balance "handiwork" will unravel quickly and be destroyed. At that time, the "fellow humans" that will survive will live in balance with a restored Nature. New Age zealots picture this "living in balance" will be Paradise Restored; however, a glance at the Biodiversity Map, below, reveals it will be the most repressive dictatorship the world has ever seen! Remember our warning in Part 1 of this series that occultists of all stripe thoroughly hate our Industrial Civilization? You will see this kind of hatred coming out blatantly in this book, and it is hinted at in the wording of this foreward -- "nature returns balance to the planet" -- inferring a forcible return by a force superior to that of man. Strieber sounds a slightly different theme: Mother Gaia is so wounded by our Industrial Civilization that she needs to be healed, and in dramatic fashion. She is so wounded that, if she does not strike out in her own defense to restore this "balance", she will likely die. In New Age literature, you see the theme repeated often that balance can only be achieved through a dramatic destruction of the offending civilization; but, once the old civilization is gone, balance can be restored, and the healing can begin. Listen to Alice Bailey, as she allows the Master Spirit, D.K., to write through her, speaking of this very subject of destroying civilization so "balance of nature" can be restored. 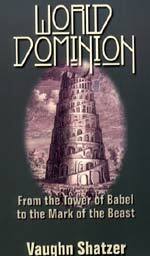 The demon Master D.K., writing through Bailey in "The Externalisation of the Hierarchy", states, "Today we are watching the death of civilisation... Such a change is rapidly coming and is regarded by some as death -- terrible and to be avoided if possible. It is indeed death, but it is benevolent and needed ... For the progress of the soul of the individual and the soul of humanity, death is inevitable, good, and necessary." (Pages 114-115; Emphasis added). "The water temperature reading from the six-meter Nomad buoy suddenly fell from 48.1 degrees Fahrenheit to 36.3 degrees. This is a huge drop in seawater temperature to happen overnight, and it caused the National Data Buoy Center to list the buoy as malfunctioning ... A few days later, another buoy appeared to malfunction. This one was part of the Global Ocean Observing System, feeding data to the Australian Oceanographic Data Centre from its station in the Southern Ocean a thousand miles from the Antarctic ... Again, the failure of a buoy was duly noted ..."
"Mankind's greatest civilization had only a few weeks to live. "Had the scientists working on the Atlantic Climate Change Experiment known what had happened, they would certainly have been alarmed ... New York had been experiencing the warmest February on record. Temperatures were reaching their highest levels recorded for the month -- 91 degrees Fahrenheit ... Across the whole southern coast of the United States, from Brownsville, Texas, to Cape Fear, North Carolina, an unusual southerly flow of air began ... In the warm, winter-naked northeast, clattering limbs and moaning eaves made it sound cold. But it was not cold ... temperatures and humidity were rising. As far as the United States was concerned, even though it was the dead of winter, summer had began. "In Australia and New Zealand, the opposite happened. The astral summer, which had been fairly normal through January, began to show signs of an unexpected change in February, when snow began falling in the mountains of New Zealand's southern island. Record cold gripped Auckland. Australian, further north, remained locked in record heat, but it was clear that this would soon change. "At the Russian Federation's Meteorological Data Processing Center at Obninsk, an image was picked up off a high-density data stream from an orbiting ENVISAT satellite that confirmed what ground observers were reporting: an extremely unusual storm had suddenly formed over the Russian Arctic. Weather systems like this had been seen only a few times before. The first one, which had formed over Duplin County, North Carolina on the night of April 15, 1999, had been dubbed the 'tornadocane'. It was massive tornado-producing supercell with the circulation characteristics of a hurricane. Winds in the system had reached 165 miles an hour. It had even formed an eye in an area near the mesocyclone, or tornado-producing region of the storm. NOTE: THIS STORM REALLY HAPPENED! THE SUPERSTORM HAS ALREADY BEEN SUCCESSFULLY CREATED IN LIMITED SCOPE! See this moving storm depicted. When I first read of this "miniature superstorm" in this paragraph immediately above, that was said to have occurred on April 15, 1999, I thought this "fact" was just part of the fiction. However, I asked a friend who is a whiz at searching on the Internet to search to see if a storm like this really occurred on this night, over this geographic area, with these physical characteristiscs! He did search, and discovered this "miniature superstorm" did, indeed occur! We call this storm a "miniature superstorm" only because it was limited to a specific area, instead of covering all of North America like the true coming superstorm! I was horrified to learn that this storm of 4/15/1999 had all the characteristics of this coming global superstorm! In other words, scientists successfully created the coming superstorm over a relatively small geographic area, to prove they could create such a devastating tempest! Now, all they have to do is to create a continent-wide superstorm just like this book presented it. Read the governor's declaration of emergency. Let us focus on this reality right here, right now. Scientists have successfully created the very superstorm type of "tornadocane" that comprises this fictional storm in this book! This storm was also created during the time Art Bell and Whitley Strieber were finishing this novel, so that by the time they went to press, they knew a global superstorm could be created at the precise time the Illuminati wants it created! This type of "tornadocane" superstorm is scientifically achievable, with one test case at least having proven successful! We are dealing here in the realm of reality, created reality! "Instantly recognizing how unusual the storm they were seeing was, the Russian scientists reported it to the World Meteorological Organization. China's FY-1 Polar Orbiting Meteorological Satellite Program was also watching the storm's development. They sent the WMO an urgent message: The storm's CAPE, or collective available potential energy, appeared to be rising at a very high rate. "What a storm like that was doing there at this time of year, nobody knew, let alone why it was becoming so powerful. All across Europe ... a hard, dry wind began roaring up from the south. In New York, low, wet clouds had been swarming northward for two days. In Atlanta, average wind speeds had reached thirty miles an hour. In Houston, the average speed was forty. "All over the world, meteorologists were watching the situation. So far, however, nobody had connected what was happening in different parts of the planet. Thinking was still highly localized, although numerous research facilities were observing the data being transmitted by the Russian and Chinese satellites. "Then a typhoon appeared in the Central Pacific. It formed over a matter of hours -- faster, in fact, than had any typhoon ever previously recorded. Inside of a week, this massive storm was menacing coastlines from the Philippines to Japan. It was graded a Category 4 storm ... and declared a super-typhoon. It was called 'Max'. "Realizing that it was now receiving data on three extremely unusual storms in different parts of the world, the WMO appealed to the U.S. National Severe Storms Laboratory for help in interpreting the situation. With wind speeds now reaching 200 miles per hour, Max was raised to Category 5. There was a possibility that it would become the strongest storm ever recorded. The 'tornadocane' over the Russian Arctic was becoming part of a system of similar storms that appeared to be forming with the North Pole as their rough center ... Across Europe, storms began to crash and roar, and the nights of fifty cities were streaked with lightning. In order to educate you as to the possible unfolding of meteorological events that might create a global superstorm that will kill 2 billion people and destroy our Industrial Civilization, we have directly reported more text than we normally would have. But, now you know the theoretical way such a superstorm can get started, at least according to Art Bell and Whitley Strieber, and the scientists advising them. At least you will know the basis of their argument. As we share the reasons Bell and Strieber give as to why this storm occurred, we ask you to reflect back on Parts 1 through 3 of this series on Sustainability. Virtually every point we made in these three articles, Bell - Strieber makes in this fictional account of the superstorm. Let us now review some of the reasons "why" this superstorm developed. * "1999 was the most violent year in the modern history of weather. So was 1998. So was 1997. And 1996. Anybody who glances at a weather report from time to time can see that something extraordinary is happening ... For twenty years we have been bombarded with warnings that global warming is a real and present danger ... What has happened is that a nine-hundred-year-long cooling trend has been suddenly and decisively reversed in the past fifty years. Due to the rise in heat-trapping greenhouse gases, ferocious warming is under way. The scientists predicted that the earth will shortly be warmer than it has been in millions of years." "A climatological nightmare is upon us. It is almost certainly the most dangerous thing that has ever happened in our history ... the deterioration of the atmosphere -- indeed, of the whole biosphere -- is happening a lot fast than even the most concerned climatologists imagined just a short time ago ... Could we be at the edge of runaway climate change -- an event so devastating that it could abruptly leave the world unable to feed itself, perhaps even visit it with unimaginable destruction?" very time a major warning is issued about Global Warming, why not fire up your towers to generate even more heat in the atmosphere? If your "prophets" are warning about the possibility of Global Warming triggering a massive superstorm that can end civilization as we know it, why not have your scientists use their expertise in Weather Control to make just such a storm occur? "Our civilization could fall". Time and time again in New World Order writings, I hear this hatred toward our Industrial Civilization. One need hear this repeated only so many times before you start to realize that these "warnings" of the complete fall of our Industrial Civilization is simply and only a statement of their plan. They plan to shut this civilization down; if you would only examine the Kyoto Accords, you would understand that no current Industrial Civilization could abide by those provisions and live. Death might be slow, but Kyoto is an Industrial Civilization killer. And, presidents, politicians, and educated men the world over have taken their nations down that path! That fact alone should tell you of their secret agenda to shut down the very civilization in which they and their countrymen live! "... so destructive that it has the potential to end our civilization." Twice on one page, we have heard this mantra: ending our civilization! This change has been sped up this time by "human activity." We are back to their favorite term, "human activity". Now you know the significance of the Bush Administration issuing that climate report to the U.N. in early June, in which our government "admitted" that "human activity" is responsible for these supposedly major climate changes! Thus, our American government has placed itself in full sync with the most radical environmental extremists currently strutting their stuff at the World Sustainability Conference in Johannesburg, White House public rhetoric notwithstanding. In Part 3 of this series on Sustainability, we show that Weather Control can steer the Jet Streams and even bring them "down on the deck", down on the ground. Jet Streams flow up to 150 miles per hour, and would quickly make life unbearable. Bell and Strieber then make that point clear in the very next paragraph. At the beginning -- indeed, on the first page -- this superstorm is said to threaten the lives of two billion people worldwide. Truly, most of those "overrun by the superstorm" would die. The survivors would be in no condition to resist an cleanup effort that herded them into "Normal Use Zones of Cooperation". If one-third or more of the U.S. population were killed by this superstorm, the survivors could be jammed into a small geographic area, which may explain why this map plans for only the southern eastern section of the country having any significant numbers of people! We believe the true population reduction from all causes by this time in the USA may be 66%, leaving only 33% to be crammed into "Normal Use Zones". The Bible defines a pagan as someone who "worshipped and served the creature more than the Creator" [Romans 1:25] In this incredible sentence, Bell and Strieber actually believe that the creator of this world is the combination of the earth - moon, with the influence the moon has on the earth! But, the main danger inherent in this sentence is the statement that each global disaster ultimately produces a better world, and that each disaster actually accelerates the process of evolution! Thus, instead of being afraid that their plan might produce a world totally uninhabitable, the Illuminati feels encouraged to kick this Weather Control into high gear to produce the type of global disaster that would annihilate our Industrial Civilization. Can anyone see Satan pulling the strings on this entire movement? * "Estimates were that twenty percent of the trees within fifty miles of the coast were going to be damaged. Then fifty percent. Then, as the ice storm grew, more and more intense, all." "[Japan] had somehow to to prepare for a post-Category 5 supertyphoon, a storm bearing sustained winds far in excess of 155 miles per hour. What they were seeing were sustained winds reaching 213 miles per hour for long periods of time ...It was Japan's worst nightmare, a pristine typhoon hitting the islands with full force ... It was going to make landfall in just a few days and there was no way to evacuate a coast populated by fifty million people ... Storm surges of thirty feet seemed possible. Millions of people were going to drown ..."
"The first sign of extreme danger came when a small coastal town in Shizukoa prefecture reported that waves were battering the city hall, and then went off the emergency radio network. Meteorologists quickly realized that the waves involved must have been nearly forty feet high ... This was, indeed, the most terrible typhoon ever recorded ... winds were horrific. They tore into the whole nation, devouring houses, sending cars and trucks flying through the air, stripping aluminum panels off skyscrapers, and turning their windows into billions of tiny, lethal daggers. All over the nation, people clustered around portable radios ... The power grid collapsed just after midnight the first night." "And then -- and only then -- did the storm come ashore ... Water surged up Tokyo Bay, and residents were horrified to discover that the ocean was filling the streets ... Thousands were forced into the streets by rising water, only to be carried away by the floods or battered to death by the wind ... Supertyphoon Max: highest sustained wind speed, 218 miles per hour; death toll, 1,288,704. The most deadly storm in history -- so far." "After six weeks of destruction that would make a nuclear war look tame, a new ice age may well have begun ... and as soon as a mechanism is triggered that can deliver enough energy into the atmosphere to generate it, it's going to happen. By definition a superstorm would involve an entire hemisphere. Its winds would reach extreme velocities, possibly in excess of two hundred miles per hour. The storm would be triggered by a sudden increase in Arctic temperatures at the surface -- exactly the kind of warm snap that could occur at any time during the global warming scenario presently unfolding, combined with extreme cold aloft. The warm flow of air would heat an ocean surface already affected by a loss of salinity due to polar melt and runoff from Greenland. The lack of salt in the water would cause it to take on heat quickly. At that point, the flow of the North Atlantic Current would suddenly change, dropping south." "Blizzards are a type of storm that occurs when warm and cold air masses intermix and attempt to equalize their temperatures. Water vapor becomes rain, which turns to snow, which falls gently or hard, leaving the world [either] magic with snow or perishing beneath an agonizing weight of ice. This time, the storms were not like ordinary blizzards. And every meteorologist who stared at a monitor, watching them boil up into the stratosphere, know that something was profoundly wrong above the Arctic Circle." "First, the cloud tops were rising far higher than is normally the case. They were reaching well into the stratosphere, developing fantastically powerful circulatory patterns as high-altitude air, made ultracold [and] ... speeding to the surface. NASA's new satellite-borne wind measurement system could scarcely be believed: surface gusts in excess of two hundred miles an hour were apparently present in some of these cells." "The storms were short-lived, speeding across the flat land and the sea so fast that their own speed tore them apart. The world meteorological community struggled to understand ... oceanographers were testing a terrifying theory ... the fourteen echo sounders ... were providing an effective stream of data. That data was causing a storm surge of its own ... The sounders ... were reading low and diminishing flow in an area where the current should have been strong." "... something had happened to the crucial North Atlantic Current, something without precedent in recorded history ... a fundamental change in transoceanic flows [had occurred]. The storms that were battering Australia and New Zealand meant only one thing: the change in the currents was profound. The whole planet was affected. "A second ferocious typhoon was already forming in the central Pacific, again heading toward Japan, which was still reeling from the effects of Max ... "
"... the very life of Canada now hung by a thread ... Nobody in recorded history had seen nature at its most violent. Nobody could conceive of what this actually meant. But then something happened that brought every scientist assigned to the problem to a dead halt. People were paralyzed with amazement as soon as they understood the data ... in a small Intuit village in northern Canada, the temperature had dropped in a matter of an hour by over a hundred degrees Fahrenheit." "This could only mean one thing. But the idea that storm circulation could be so violent that it would draw supercooled air all the way to the surface was a subject for classroom speculation ... Scientists at various NOAA facilities in the northern part of the U.S. began quietly arranging for their families to move south, seeking shelter with relatives in Texas and the desert southwest, in Florida and southern California." "Thus began the greatest migration in human history ... Wind speeds were picking up all across the Arctic as one ultraviolent storm after another appeared, their cloud tops bulging to ever more unprecedented heights, their surface winds rising higher and higher ..."
"Still nobody really understood. Not even yet ..". "Vast quantities of snow poured down, suffocating animals where they stood, capturing practiced outdoorspeople ... crushing those buildings that had not been shattered by the wind. Temperatures dropped so low that uncovered skin froze instantaneously. To take a breath of fresh air too fast was to risk death by frost in the lungs. Caribou and grizzlies began to die, and then human beings ..."
"People whose ancestors had lived in this land country for ten thousand years began to die in numbers ... All died, in the end, as the environment crossed a line beyond which nothing but simple creatures like lichens could survive ..."
"And then the series of supercells that made up the storm organized themselves further. To some of the meteorologists glued to their flickering screens, it looked as if the storms were living creatures, as if they were melding themselves into a greater being, something born of terror. They called the storm legion, for it was many, many made into one." "... it looked as if the storms were living creatures ..."
Once again, the language used reflects their theological belief: Mother Nature, called Gaia, is a living, functioning goddess. They believe this planet is alive and is to be worshipped if mankind is to "live in harmony" with her and survive. This superstorm was pictured as beginning in Canada because of Global Warming, and dumping so much snow so fast that buildings were crushed and all the people died. And, now it was coming to the United States. Industrial Civilization Dies In The United States -- A "Benevolent" Death? "The storm first becomes visible on satellite images as a series of unconnected swirls of cloud, then more structural storms begin to form ... Supercells begin erupting inside the storm complexes, as the Arctic chill continues to collide with the powerful temperate flow from the south. This happens in an atmosphere that has become supersaturated with water vapor from all the melting snow and ice .. A tornado rumbles ... and Juneau is hit by a storm that has an eighty-mile-an hour winds and leaves the streets buried in hail three feet deep ... Satellites are beginning to reveal a new phenomenon: vast areas of the planet are being covered by cloud and it is thickest in the Arctic ..."
"Privately, meteorologists at the National Weather Center are watching in confused awe ... Near Kansas City, a tornado is observed on the ground and on radar that remains organized for three hours. Nine hundred lives are lost in forty trailer parks ... Winds gusting to a hundred miles an hour sweep across New England, bringing with them ice-flecked rain that falls in torrents. Beneath the black skies, temperatures that were abnormally high now begin to fall ..."
"Half a dozen storms begin to organize into larger systems ... The air that is being frozen to extremely low temperatures in the trans-stratospheric cloud tops is reaching the ground so fast that it has no time to warm. Anything these columns of death touch is frozen solid within minutes ... Satellites reveal no information about what is happening beneath the cloud cover, but the victims -- some of them frozen so quickly that their dinners are still in their mouths -- will not be found again for thousands of years ... "
"As the storms continue to organize, the tropical flow itself becomes dangerous. Sustained winds in excess of 140 miles an hour begin along the face of the Rockies from the south, destroying all human habitation in their path .... wind gusts in Washington, D.C., exceed a hundred miles an hour. Russia is no longer available by telephone. Sweden, Norway, and Finland are all reporting unprecedented spring snows accompanied by blizzard conditions and winds of 130 miles an hour ..."
"The president declares a state of national emergency and imposes martial law. He now calls out the National Guard, but events have moved so quickly that only a few units can manage to get organized. Highways are packed with cars moving south ... Over water, sustained wind velocities now exceed two hundred miles an hour. The storm is now fully organized, a single, massive cyclone. It functions ... on a scale so much larger that the possibility has never been considered ..."
"China has joined Russia in a chorus of silence ..."
"Incredibly, the storm continues to grow. Outside of the storm area, air pressure drops lower than thought possible. The planet's atmosphere itself is being distorted -- and this, in the end, is what finally unbalances the weather system and causes it to begin to break up. As this happens, the storm turns loose the water vapor it has been carrying, dropping it in the form of vast, continent-girding snowfall ..."
"After the storm, the landscape has completely changed. There is not a single tree standing north of Oklahoma. The land is a glaring sheet of ice. At the Canadian border, the ice is ten feet thick. Across the tundra, it's forty feet thick ... As March turns into April, its southern reaches begin to melt. A month later, the Mississippi is ten miles wide in place. New Orleans is inundated. The Delta is destroyed ..."
"Western civilization as we know it passes into history." This incredible conclusion is not just the major theme of this book, but is the major theme of the current drive for "Sustainable Civilization". Since our Industrial Civilization is "unsustainable", it must "pass into history". It must be replaced by an agricultural civilization like that which existed in Europe and American 300 years ago! 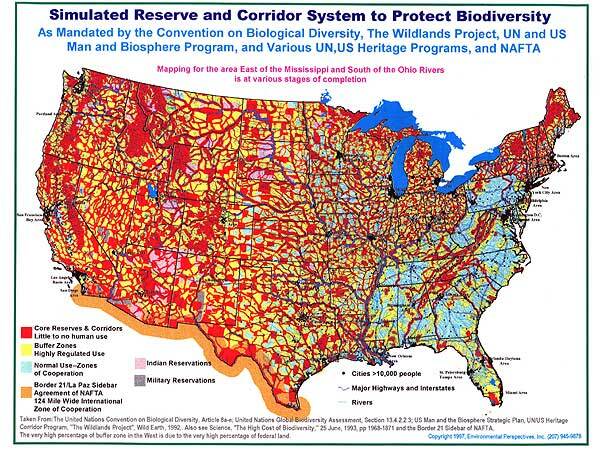 Mankind will be highly regulated, forced to live in certain areas, and prohibited from living in other areas; "Core Reserves" and the "Buffer Zones" will separate them, just as this Biodiversity Map, above, depicts. "But environmentalists and Park Service bureaucrats insisted on adding all of the comparatively tiny 8.5 AMA to Everglades National Park as a 'buffer', even though adding the 8.5 AMA to the park would not make any difference to Everglades restoration. Ironically, there is no environmental or hydrological difference between leaving the residents of the 8.5 AMA alone and kicking them off their land, but this simple fact hasn't deterred 'preservationists' and bureaucrats from keeping up the political pressure." "After endless delays of a project that was to have been completed in 1997, 8.5 AMA property owners have found themselves in yet another political hostage situation. The Corps is now holding the entire $7.8 billion Everglades restoration project hostage in order to force all families in the 8.5 Square Mile Area to move away for the 'common good'." In order to confiscate private property within a tiny 8.5 Square Mile Area, to create the "buffer zones" called for by the U.N. Biodiversity Map, shown above, the Army Corps of Engineers is refusing to work on the much larger and much needed larger Everglades project! The landowners now living in the "buffer zone" area thus face tremendous pressure from the many more families in the region who really want this Everglades Project finished! These private landowners in the tiny 8.5 AMA territory are probably going to lose their property! These "buffer zones" are precisely what this U.N. Biodiversity Map of the United States shows! It is no accident that current administration officials are using the same term as is on this map! This current news story is proof positive that the U.N. Biodiversity Plan is continuing to be followed, and will be followed until the day it is fully implemented. However, the final implementation of this Biodiversity Map will probably not be realized until all the collective power of the established Private Property lobby has been crushed. And, that is not likely to happen until and unless the nation is facing the most severe crisis in history. That is where this book, "The Coming Global Superstorm" comes into play. It fictionalizes and makes believable the most extreme "worst case scenario" painted by Extreme Environmentalists as they warn of planet disasters unless drastic action is taken. This book fictionalizes that "worst case scenario". But, this book is not just a flight into fantasy by the environmentalists. 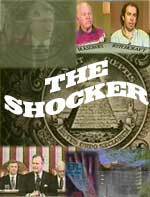 Because scientists working for the Illuminati can control the weather, colossal superstorms such as the ones depicted in this book could become reality. In this case, this book represents a real threat: the plot of "The Coming Global Superstorm" could present the planned final scenario that would end the Western Industrialized Civilization forever, just as the Illuminati so fervently desires. A script. If that is what "The Coming Superstorm" represents, then this nightmarish scenario might one day come screaming upon us with full force. However, fulfillment of Bible prophecy might also be in view here. I find it highly interesting that the very capabilities of Weather Control, some of which would be used in a superstorm, are the capabilities that might fulfill many of the prophecies found in the Book of Revelation. These events, and the satanic spirit behind it all, certainly do remind us that we are living at the End of the Age. Are you spiritually ready? Is your family? Are you adequately protecting your loved ones? This is the reason for this ministry, to enable you to first understand the peril facing you, and then help you develop strategies to warn and protect your loved ones. Once you have been thoroughly trained, you can also use your knowledge as a means to open the door of discussion with an unsaved person. I have been able to use it many times, and have seen people come to Jesus Christ as a result. These perilous times are also a time when we can reach many souls for Jesus Christ, making an eternal difference.